After a three year recording break, The Shroud are back with a new release destined to be a classic. In the Garden marks a wonderful evolution since the Shroud’s previous work. The new sound pulses with uptempo love songs and plush, trippy dance beats. 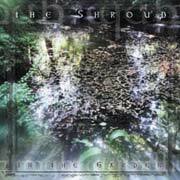 The Shroud’s music “is simultaneously accessible and mysterious, like familiar surroundings suddenly darkened in a candle-lit power outage,” says Amazon.co.uk. Though well-crafted and produced to a high sheen, it’s also still edgy and passionate. Lydia Fortner’s vocals cascade through melancholic guitar lines, giving way to enticingly teasing keyboard riffs in the chorus. Elsewhere, the arpeggiated guitar work and organic atmospherics create a rich 4AD sound, updated for the new century.